This is a sponsored post. All opinions are my own and I was compensated with a Disney store gift card and Werther's products. How would you like to win a Magical vacation to taste your way around the world at the 2015 Epcot International Wine and Food Festival? I know this is a trip that I would love to win. 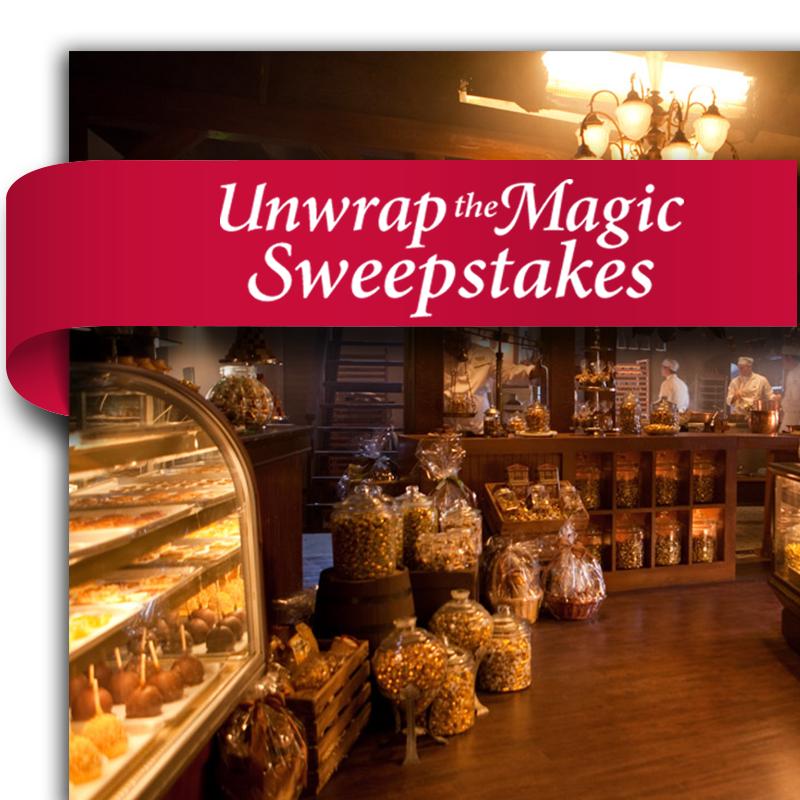 I was sent some yummy Werther's Original Caramel popcorn along with a coupon to buy some of their yummy hard candy to start celebrating this great Magical Sweepstakes. 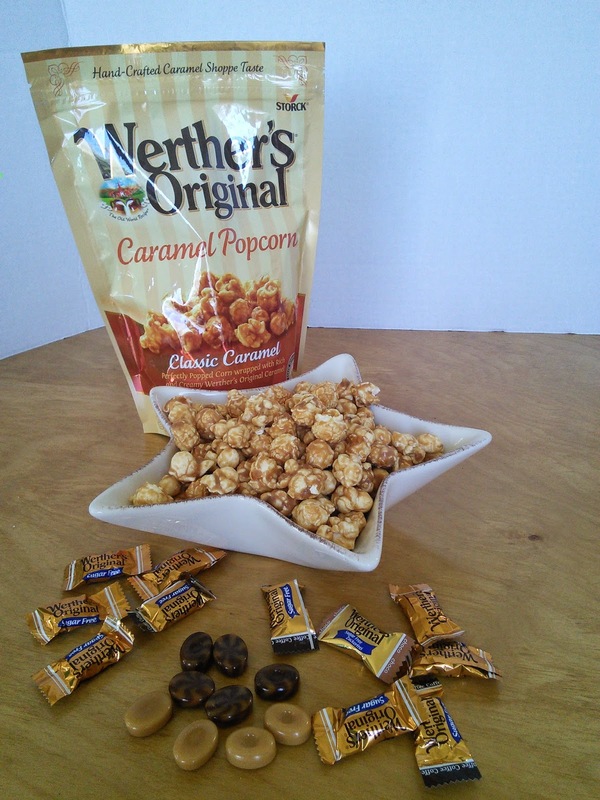 Werther's popcorn is perfectly popped corn that is wrapped with rich and creamy Werther's Original Caramel. This popcorn tastes just like their awesome caramel candy. Their candy melts in my mouth with a great caramel taste when I unwrap a piece of their hard candy and pop it into my mouth. Werther's makes many different products from hard candy to popcorn, they even have baking caramels that would be great for caramel apples. I have a giveaway at the end of this post were one of my readers will win 2 coupons to try yummy Werther's caramel products. Now for my giveaway. 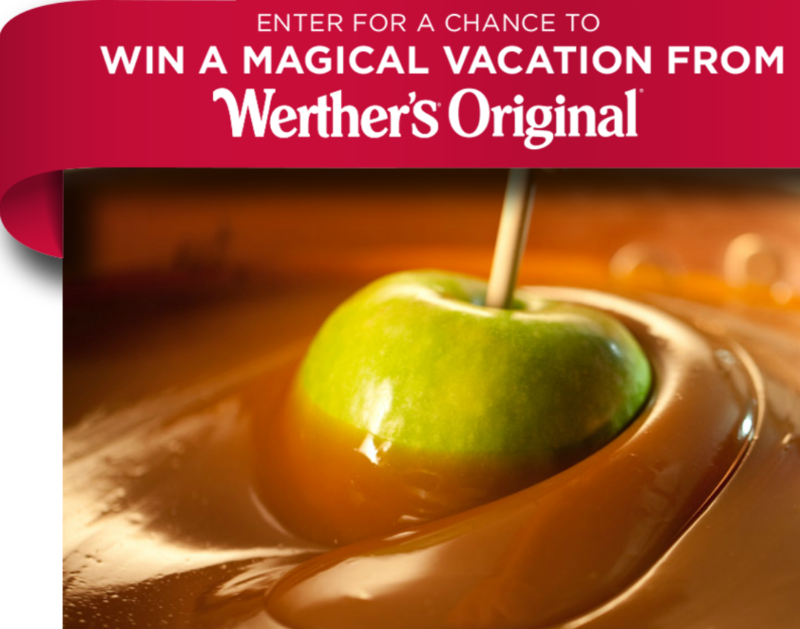 I am giving away 2 coupons for any Werther’s® Original® products of your choice. Just enter on the Rafflecopter form below and good luck! That is so hard because I love them all! I think I would buy their soft caramels! I love the food and wine festival!! What a great giveaway! I want to try the popcorn looks tasty! My mom was my best friend. When she was alive, she always had a dish of Werther’s® Original® candies in a bowl in the tv room. I think I will enter in memory of her! I love the Caramel Apple Werthers - especially during this season, I would buy those, and try out the popcorn - haven't done that yet. I'd go for their sugar free hard candies. I didn't know they made popcorn - yum! I love their original caramels. Didn't know about the popcorn. The original hard candy as they are so very good. The original candy is definitely my favorite. I like their original and the hard caramels too. I love caramels period so give me give me. I'd buy the original. Can't beat the classics. I love the creamy caramel filled! I would buy the Original chews. They are my favorite. I love the soft caramels and also the original hard candies. I haven't tried thier caramel apple candy yet! I love the original hard candys. I like their caramels the most. I would get the original hard caramel candy. I love their chewy caramels - addictive! I entered under Sharyl Wolter and I would probably give this prize to my niece, her husband, toddler and my nephew. I'd like to get the Werther’s Original Chewy Caramels. I would try the Caramel Popcorn. Didn't know this was even available. I like the classic Caramel candy and would get that. I have only have the orginial werthers, but they are the best! I would for sure get the soft caramels and dip apples in them - YUM!!! I would buy the Carmel Apple Filled Werther's! I love them so much!!! Their original caramels sound fantastic! Thanks for the chance! I want to try Werther’s Original Caramel Popcorn. The Werther's products I would buy if you won the coupons would be the Werther’s Original Caramel Popcorn. I love popcorn and I Iove Werther’s Original Caramels. I went to the Magical Vacation Sweepstakes and entered. My husband and I have always wanted to take a Disney vacation so it would be him that I would take. When we got married we were not able to take a honeymoon so this would be the honeymoon we never had. The original Candy is the one that always draws me to their name, so definitely the original! I think I'd get the original. I haven't had those in a long time, but I've always really like them. I would probably stick with the classic hard candies. I love Werthers original hard candies, so I'd get some of those and I'd try their caramel corn. I entered, Amy Leach, and I'd take my husband and 2 daughters with me. I would get the Werther's regular caramels as they are so good. I would love to win and take my mom, daughter, son and husband. I would get the originals ... those are classic and the best! I'm in love with their soft chewy caramels, a very nice treat. I would get the Werther's original, soft caramel ones and sugarfree mint-caramel ones. I haven't seen caramel popcorn from Werther's here yet. Candy Apple Filled is the bomb plus I want to try the popcorn~! I would love to take my best friends~! I would get the Caramel Popcorn. That stuff is addicting. I would like to try the butterscotch original s.
I'd like to try the carmel popcorn. I'd definitely buy the caramel popcorn if I win!! I love the classic Werthers Original! I have tried the sugar fee originals and its also excellent! Yum! I would buy the popcorn and the chewy caramel pieces. i never knew they made popcorn. i would choose that! I would like to find their Baking Caramels. Chewy caramel, or popcorn..maybe..I don't know. There's so much to choose. It would have to be the Caramel Popcorn & their soft caramels! I entered as Corey Olomon and I would take my kids.